Ocho Rios is located on the Northern Coast of Jamaica. 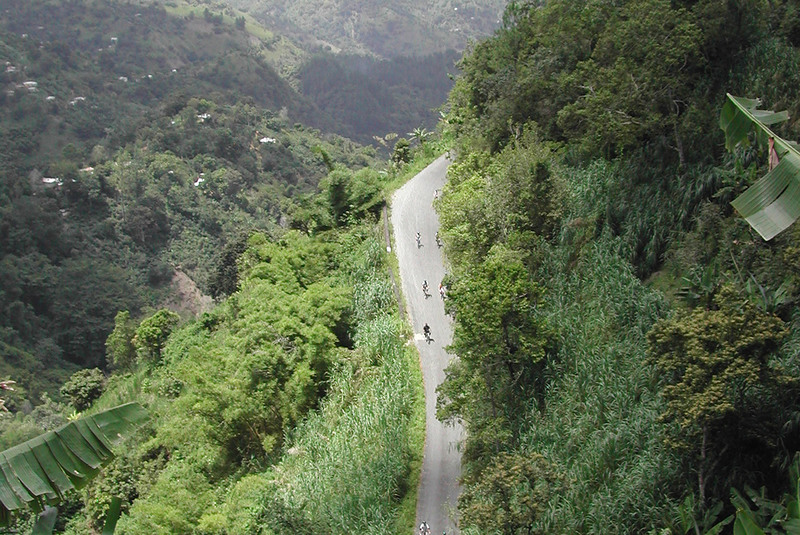 This former sleepy fishing and export town is now one of the main tourist destinations in Jamaica. Ocho Rios plays host to thousands of visitors each year visiting via land and sea. It is a popular cruise stop on most cruise itineraries and is only a short 90 minute drive via highway from Montego Bay (the entry point for most flying to Jamaica). If you have ever stopped in Ocho Rios on a cruise, then a return visit, offering more time to truly experience the town is definitely in order. The bustling and busy port of Ocho Rios doesn’t always convey the beauty and relaxation the town offers as a destination. Ocho Rios offers a wealth of activities ranging from soft adventure to cultural and is the perfect base for exploring some of Jamaica’s most famous landmarks and figures. St. Ann’s Parish, where Ocho Rios is located, is the birth place and final resting place of reggae’s Bob Marley and music lovers will enjoy a visit. 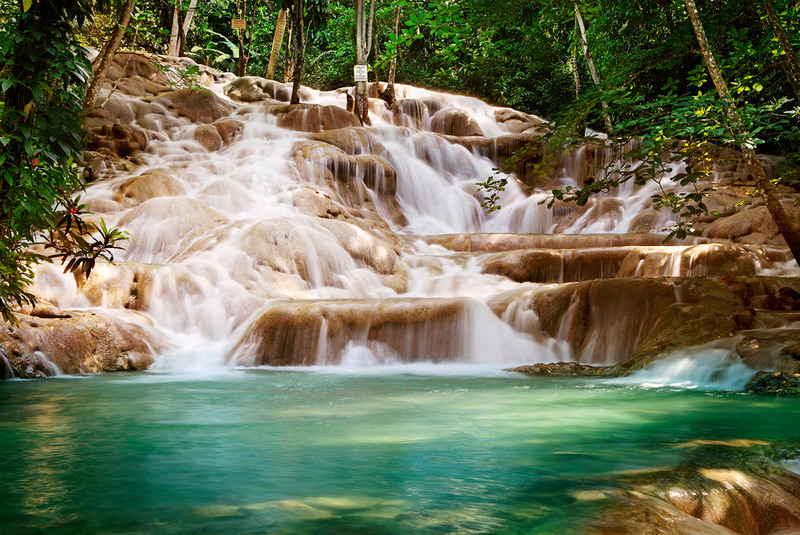 Ocho Rios is home to the world famous Dunn’s River Falls where visitors make a human chain climbing up the 180 foot falls. For those who want a little less crowded option Coyoba Gardens offers a breathtaking views of Ocho Rios and a botanical garden that is home to both indigenous plants and plants that have been brought from visiting countries throughout Jamaica’s history. The Garden also offers a museum for the history of the original Jamaican’s, the Arawak Indians. The Garden also is home to smaller waterfalls that visitors are able to climb and swim in. 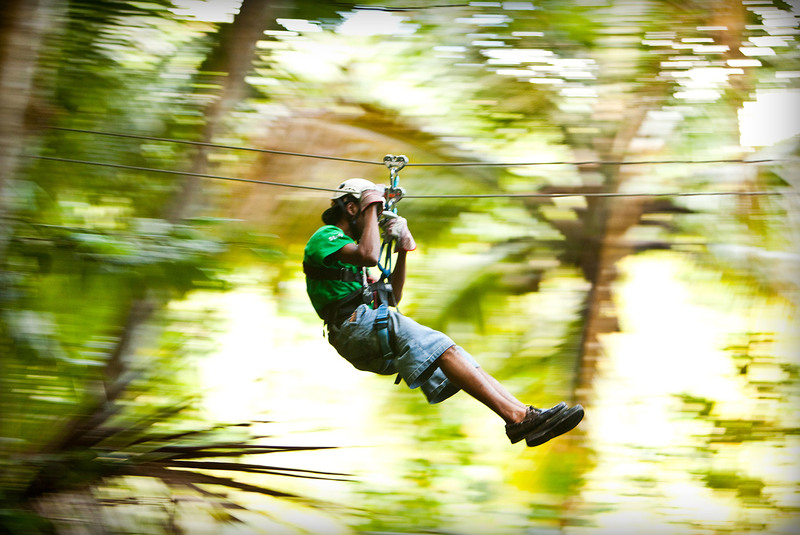 For those requiring a little adventure Ocho Rios offers ziplining, ATV tours, cycling tours. 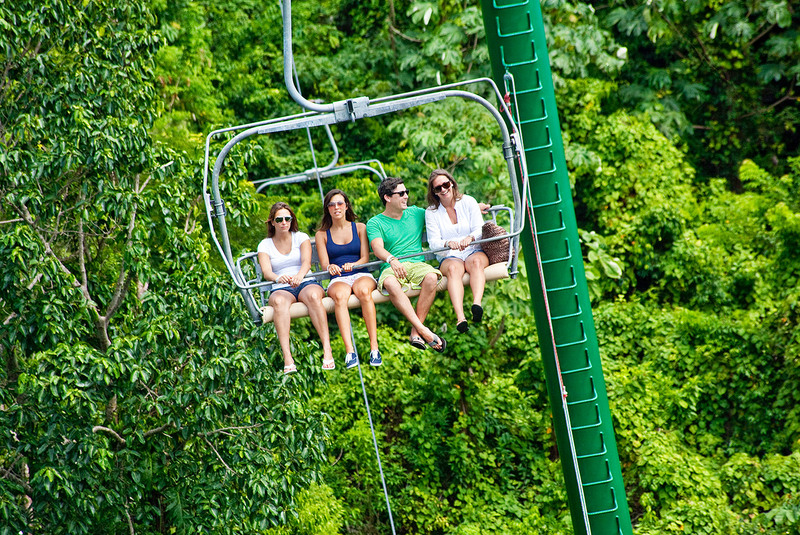 There is a tranopy adventure that offers a new perspective on the mountainous rainforest. 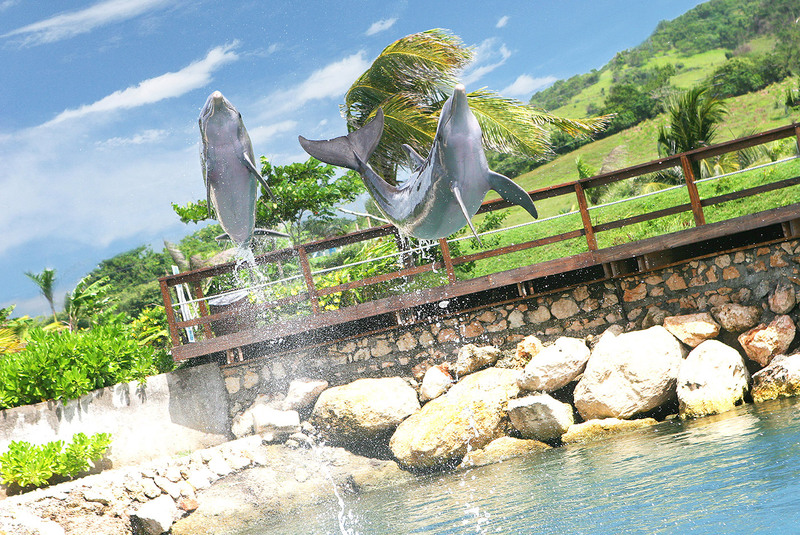 Ocho Rios also offers a wealth of water sports from snorkeling and diving to swimming with the dolphins. Shoppers love the markets of Ocho Rios where you can select hand made crafts to bring home and golfers won’t be disappointed with an 18 hole championship course nearby. Regardless of how you enjoy spending your hard earned vacation time, from spa to golf to soft adventure, Ocho Rios is a destination that truly offers something for everyone and is so much more than just a beautiful beach. After just a short time here you’ll truly understand what it means to be “irie ‘mon”! Melinda, Neil and Donnie are Jamaica travel specialists and have lost track of the number of visits they’ve made to Jamaica. Ocho Rios is a favorite destination for all of them. Images have been used with permission from Island Routes and Sandals.